Admissions will be based on the score obtained in the entrance examination as per the directions from Dept. of Higher Education of HP Govt., on the basis of merit and through the entrance test conducted by the university as per UGC. The Admission form can be filled in the online mode also. Minimum eligibility will be based on the marks secured in the previous qualifying examination. • Candidate should have passed +2 with:- 45% Marks for General Category and 40% Marks for Reserved Categories or its equivalent from a govt. approved board or University with compulsory Mathematics and Physics subjects. • Lateral Entr : - The candidate must have passed Diploma examination with at least 45% Marks for General Category and 40% Marks for Reserved Categories in appropriate branch of Engineering/Technology. • As per the directions from Dept. of Higher Education of HP Govt. • Admission will be made on the basis of merit of JEEIIT /HPCET or Any Other Directive. • Lateral Entry : - As per Eligibility Criteria. • Passed 10+2 with concerned stream and having obtained 45% marks for General Category and 40% Marks for Reserved Categories. • Passed 10+2 with concerned stream and having obtained 40% marks for General Category. • Bachelor degree of an Approved University or equivalent from a recognized University with a minimum of 50% marks for General Category and 45% for Reserved Category candidates. • Admissions will be made on the basis on merit of State / National Level Entrance Test/ Any Other Directive. .
• B.Sc. with 45% marks for General Category and 40% marks for Reserved category candidates. • Candidate should be Engineering Graduate in respective/allied discipline. • Admission will be made on the basis of merit, rank/marks obtained in GATE/ State Level Entrance Test/ Any Other Directive. 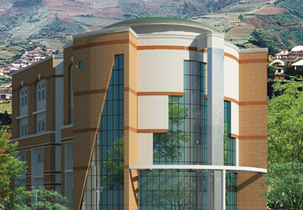 Write Your Reviews on "Sri Sai University"
Are you Interested in "Sri Sai University"? Please provide the following details. 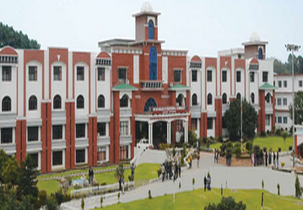 Ask Question on "Sri Sai University"?